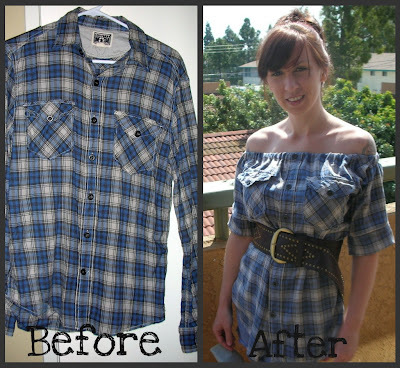 This is so quick and easy. 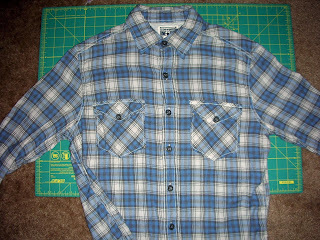 Lay shirt flat and smooth out any wrinkles. 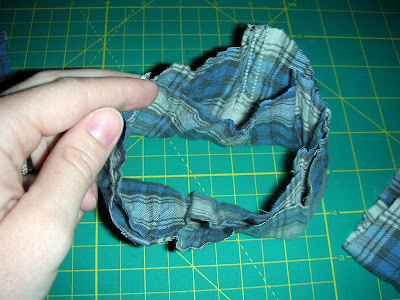 Fold over and sew and elastic casing. 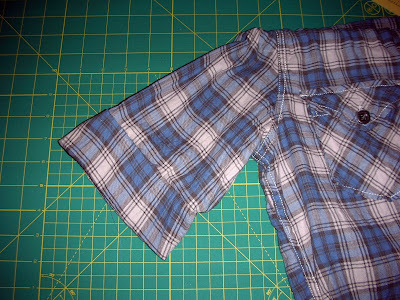 Leave and opening to add elastic. 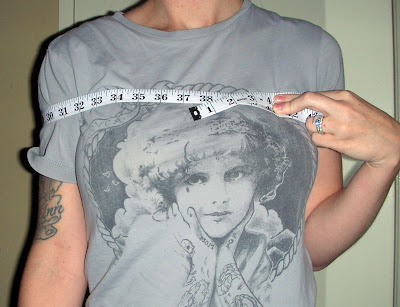 Measure around your shoulders for elastic. 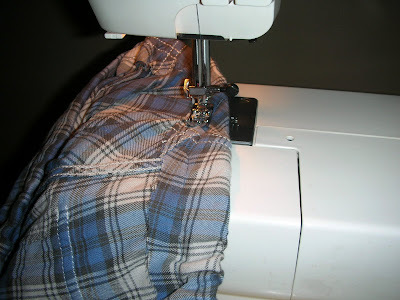 Use a safety pin to slip elastic through the casing. 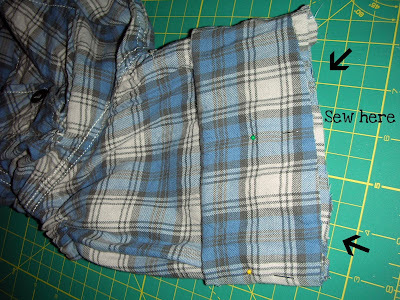 (no pic sorry) Then sew elastic ends together. 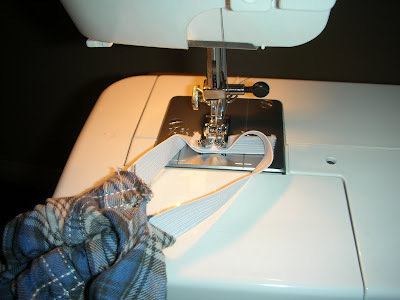 I use a zig zag stitch. Make sure your elastic doesn't get twisted. 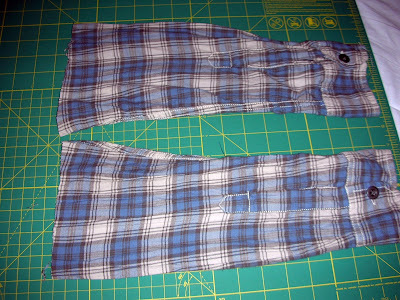 Next, Cut off the arms at your desired length. Or keep them on if you want. Mine were too long. 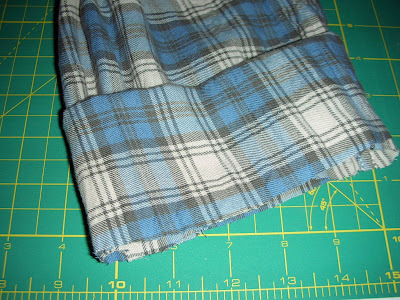 Next, cut five inches of the top of the arms. Now you have two of these. 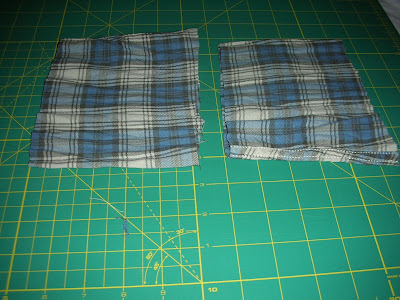 Take each sleeve piece and fold inside so the raw edges match up. Wrong sides together. 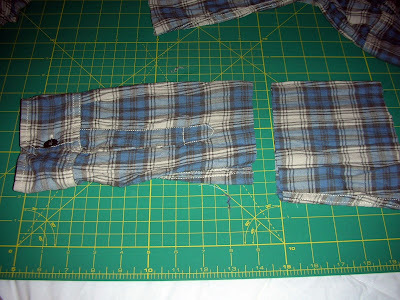 Take folded sleeve piece and pin to existing sleeve so the raw edges match up. Does that make sense? This pic shows it a bit better. 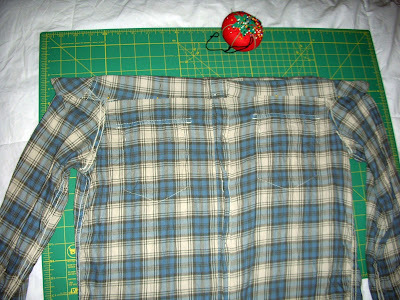 Sew along the edge without sewing the sleeve together. 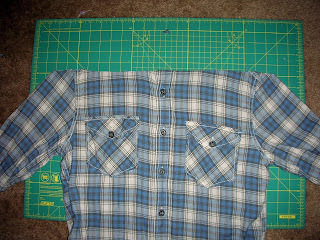 Fold down sleeve and your done. 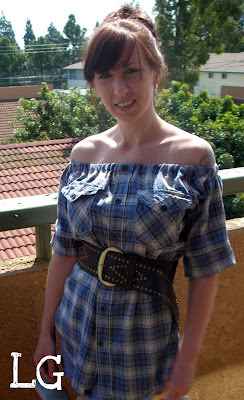 You could also add elastic to the sleeve if you like. 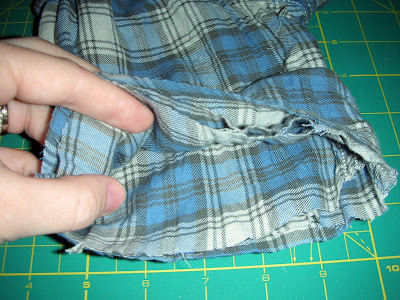 Or just hem it.